You\’re being told the embassy attacks in Egypt and Libya are in response to a movie, but in fact it’s the blowback from a over a decade of a policy of mistakes and a growing anti-west movement. You’ll get our analysis in this episode. Bush’s former director of the CIA and the NSA has shared details on on the initial rollout of the NSA’s domestic spying program and the subsequent ratcheting up of the invasion of citizens privacy. We’ve got the exclusive clips from the source. It’s our follow up, and your feedback. 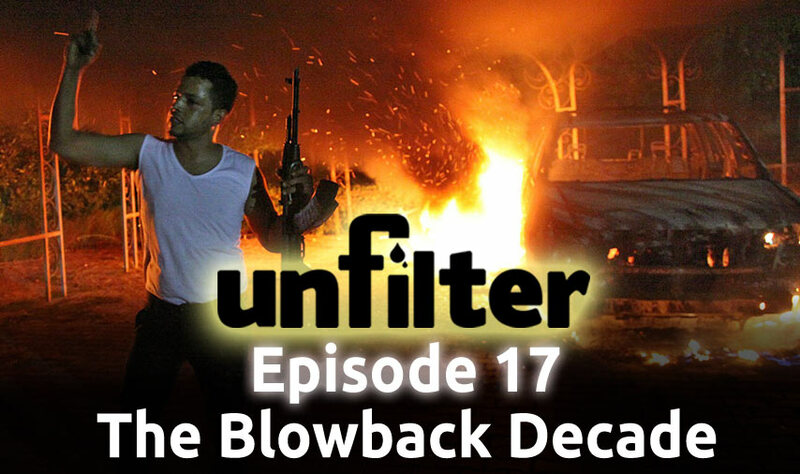 All that and a lot more on this week’s Unfilter.